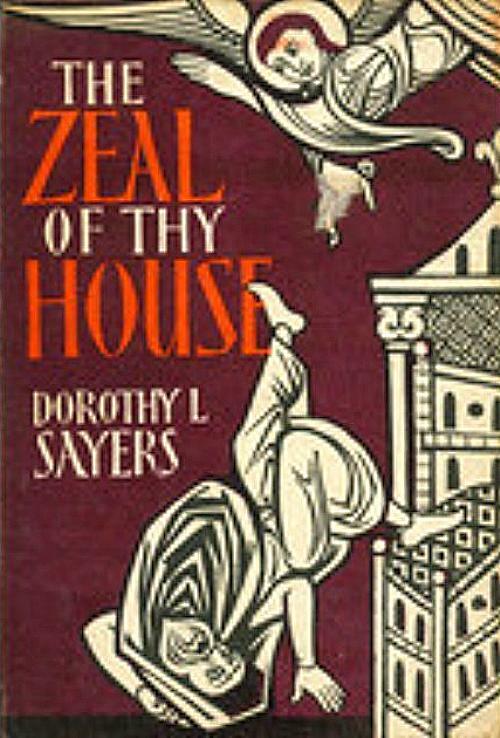 At the height of her fame, Sayers was asked to write a play to be performed in Canterbury Cathedral for an annual festival. Having spent 15 years writing about a sexually adept aristocrat who entered churches more for aesthetic contemplation than spiritual renewal, Sayers hesitated. She finally accepted the commission, due, most likely, to the prestige of her predecessors in the job, T. S. Eliot and Charles Williams. However, in writing a play about the 12th-century architect who rebuilt part of Canterbury Cathedral after its fiery destruction, Sayers experienced her own baptism by fire. As though a hot coal had touched her lips, she began speaking, through her characters, about the relevance of Christian doctrine to the integrity of work. Intriguing even professional theologians, her play ends with an angel announcing that humans manifest the “image of God,” the imago Dei, through creativity. After all, the Bible chapter proclaiming the imago Dei presents God not as judge or lawgiver but as Creator: “So God created mankind in his own image, in the image of God he created them; male and female he created them” (Gen. 1:27). Let us, in Heaven’s name, drag out the Divine Drama from under the dreadful accumulation of slipshod thinking and trashy sentiment heaped upon it, and set it on an open stage to startle the world into some sort of vigorous reaction. If the pious are the first to be shocked, so much the worse for the pious—others will enter the Kingdom of Heaven before them. In 1940, the BBC asked Sayers to write a series of 12 radio plays about Jesus. Taking the commission very seriously, Sayers spent a year rereading the Gospels, studying the original Greek as well as Bible commentaries. ….